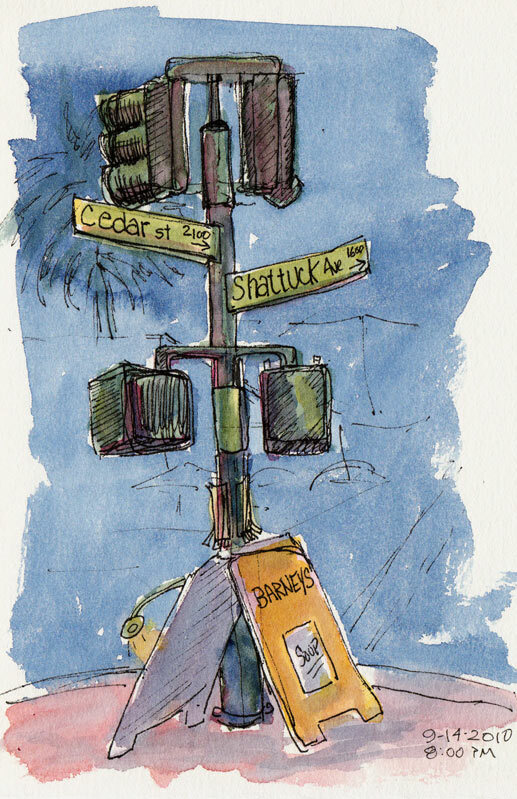 Cedar and Shattuck in Berkeley on a warm fall night was perfect for our Tuesday night sketch-out. 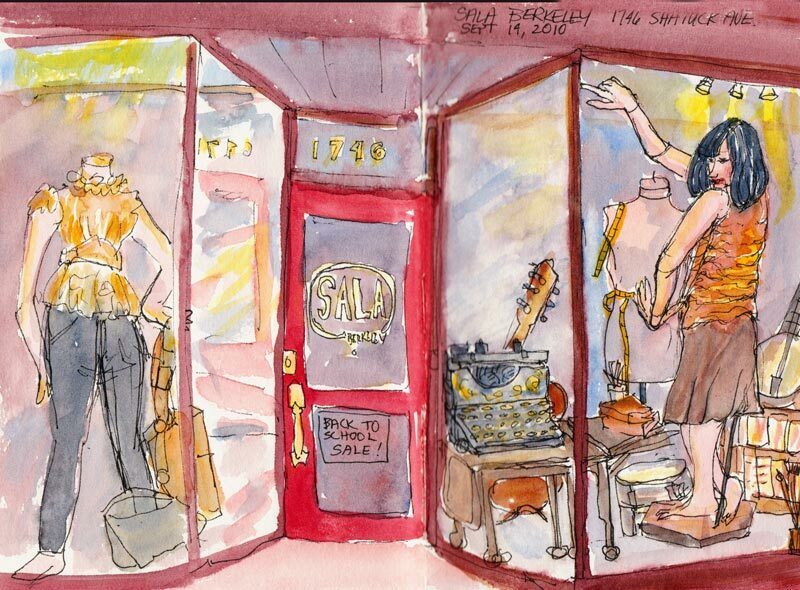 I started a few blocks south to draw the window display at “Sala.” Their windows are always great and have inspired me to draw them before. I was hurrying and didn’t quite get the proportions right so instead of tall willowy mannequins, these gals look a bit squat. What a great sketch-out you had! Love that you did the shop windows first….that’s like your trademark, maybe? Anyway, loved the sketches and the account of your evening. 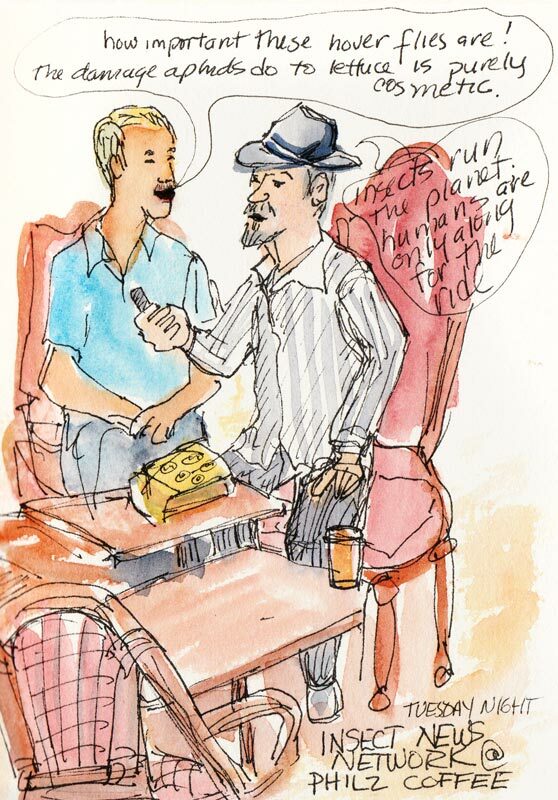 Love the sketches, Jana, and going along with you on your sketching day–even if it is a ride on an insect’s back.